Sorry, I have been away for a while. We were away on a vacation to Brazil for about 10 days. Yay! But we got home to see our house flooded and needing some major demo and reconstruction work. The last few weeks were spent trying to deal with that. With two floors of our house mostly inaccessible, there is not much cooking happening, except for maybe making a quick pasta or a khichdi for lil V. We have been living through with dinner invites and boxes of food packed home for us by our friends. We are so lucky to have them all in our lives. These are a few recipes that I had made a photographed some time back that I will be sharing with you all for a few more weeks. I also have some great photos and stories from our trip as well. Hopefully, the kitchen will be up and running by then and I can get back to some cooking, that I am itching to!! 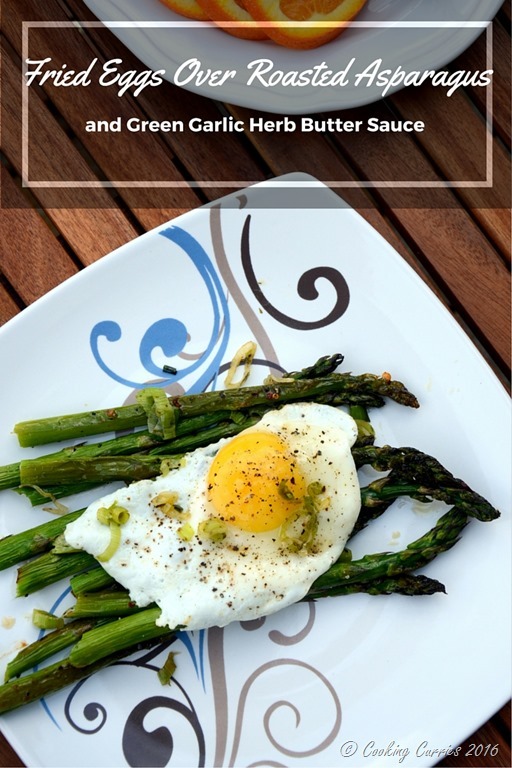 Here is a quick brunch recipe that will fill you up and is also super easy to make! Preheat the oven to 350F. 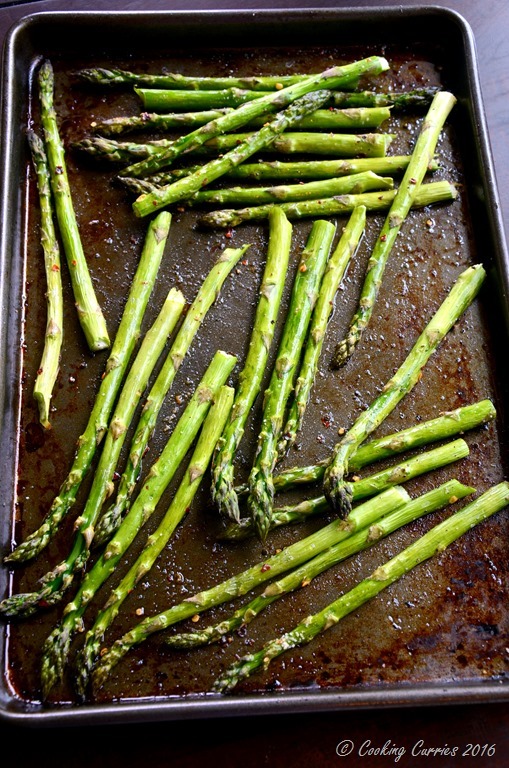 Arrange the asparagus in a baking sheet. Pour the olive oil over it and sprinkle the salt and pepper. Mix to coat well and bake for 10-15 mins or so, till the asparagus are tender. 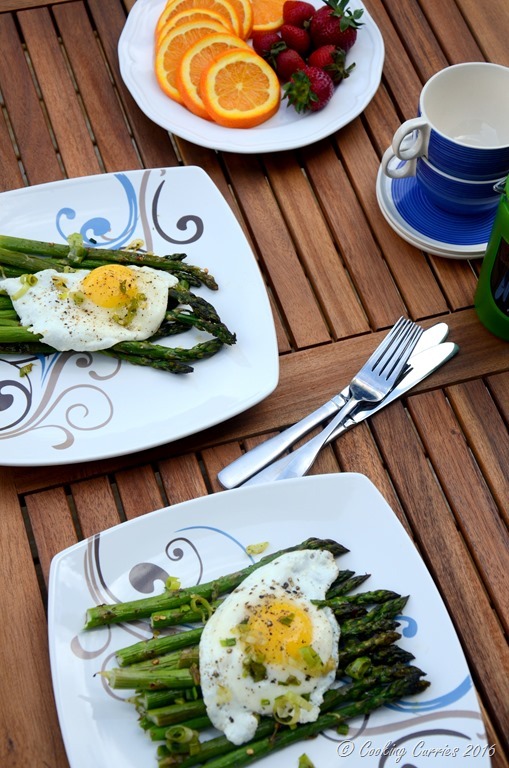 Keep checking on them as the cooking time will vary with the freshness of the asparagus. In a sauté pan, melt the butter over medium heat. Add the herbs, salt and the garlic greens. Sauté till the garlic greens become soft. Remove from heat and keep aside. In a sauté pan, melt half of the butter over medium heat. Break the egg on to the pan. Sprinkle salt and pepper. Let it cook till the sides crisp up a little. Repeat with the other egg as well. 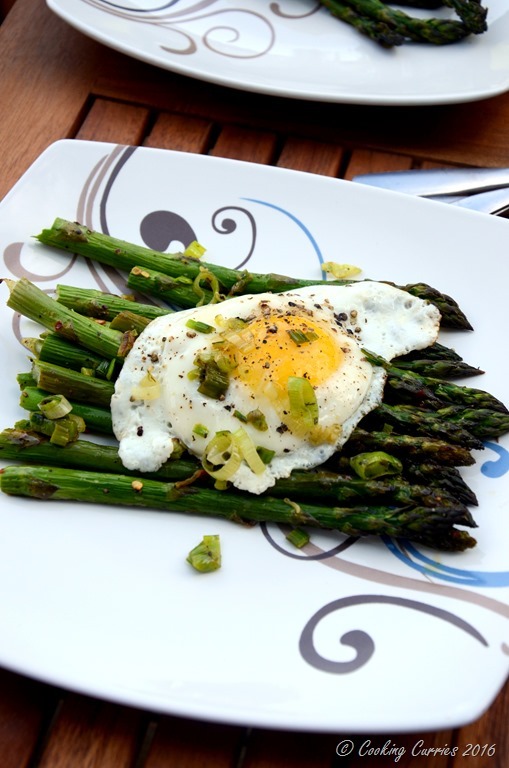 Place the asparagus spears on the plate. 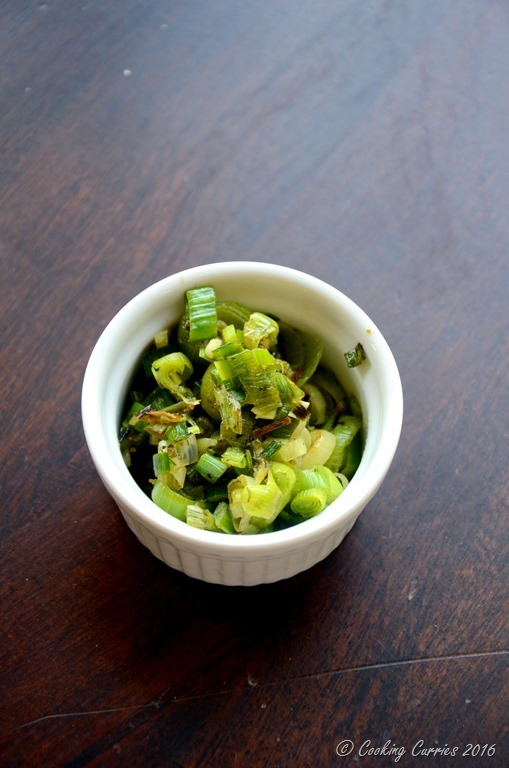 Pour a little of the green garlic butter sauce over it. Top with the fried egg and serve hot. In a saute pan, melt the butter over medium heat. Add the herbs, salt and the garlic greens. Saute till the garlic greens become soft. Remove from heat and keep aside. In a saute pan, melt half of the butter over medium heat. Break the egg on to the pan. Sprinkle salt and pepper. Let it cook till the sides crisp up a little.